Sculpted art designed by Mike Meyer. 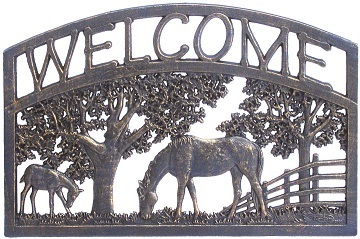 Welcome guests with this attractive cast aluminum welcome signs. It has a powder coated bronze finish with hand painted highlights. This is sure to make a memorable first impression at your front door.